If any electrical equipment does not come on, check for an open fuse. Remove the fuse box cover by pushing the tab A and lifting the cover up. 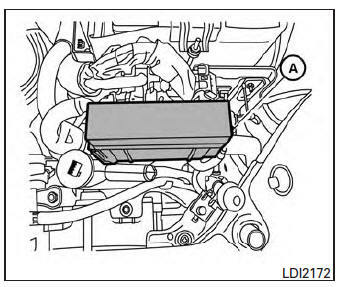 Remove the fuse with the fuse puller, which is located in the center of the fuse block in the passenger compartment. 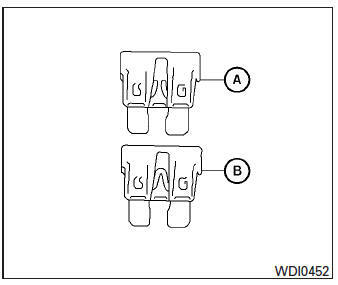 If the fuse is open A , replace it with a new fuse B .